How was your weekend? Ours was pretty uneventful. Hubby did get out the Christmas tree and put it up for me, but sadly, it's still waiting for me to decorate it. Hopefully today! I'm so far behind. 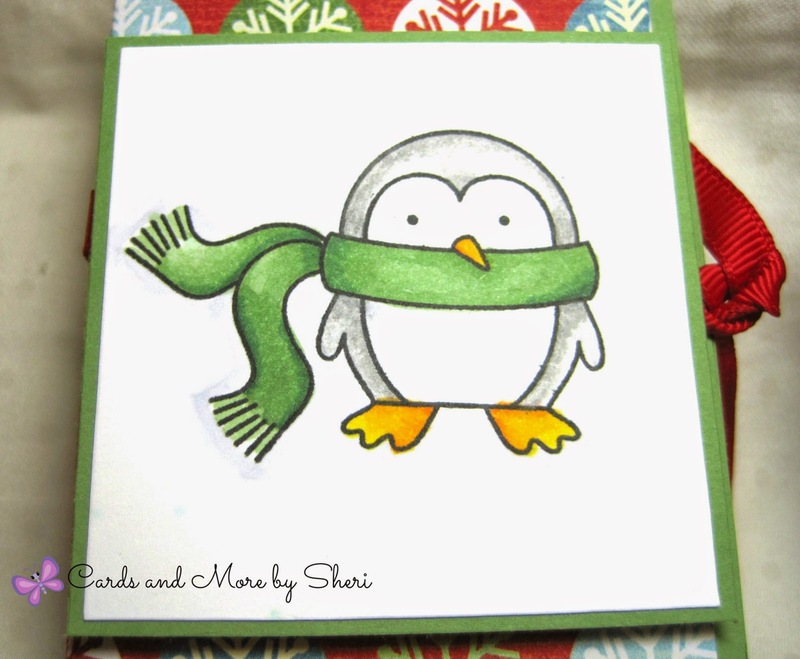 Today is the eighth installment of my Twelve Days of Christmas series and we're making another fun little gift item. This time it's a cute little lip balm holder. 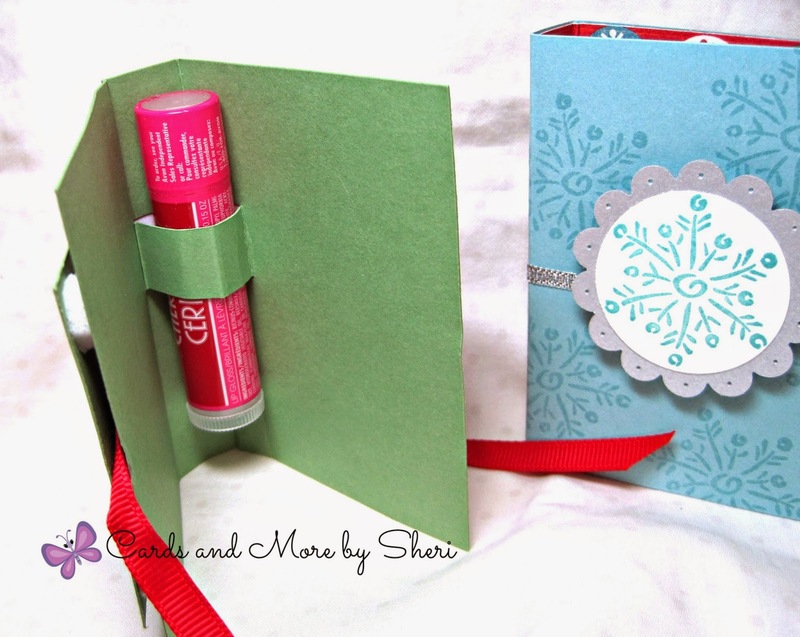 This is another item that's perfect as a stocking stuffer, teacher or co-worker gift, party favor and more. 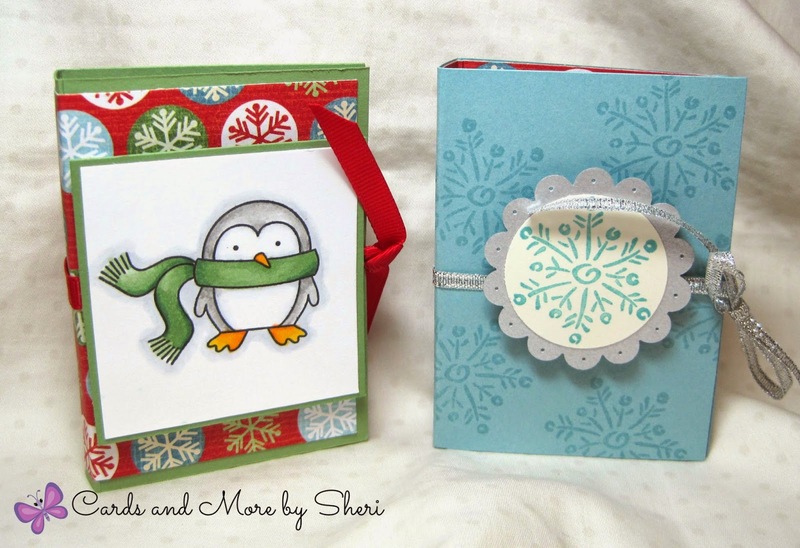 I showed two versions of this in my video -- one with the patterned paper on the inside, and one (which I show you how to make) with the patterned paper on the outside. I'll give you dimensions and directions for both (they're nearly identical but reversed). As with most of my projects in this series , these are quick and easy to make and you can personalize and customize these to your heart's desire! Card stock base of 5 3/4" x 3 1/2". Score at 2 1/2" and 3 1/4". Patterned paper for outside: 5 1/2" x 3 1/4". On the card stock base between the score lines, make two cuts that are 1 1/4" long, starting at the left score line and scoring left to right. You can make these cuts at roughly 1 1/2" and 2 3/8" from the top. This will be the pop out that you slide your lip balm through. Make another cut about 3/8" up from the bottom starting in the MIDDLE of the two score lines, and score left to right 3/4". This will make the little "shelf" that prevents your lip balm from sliding through and falling out. Adhere patterned paper to the outside of the card stock, making sure you don't put any adhesive where your pop out cuts are. Decorate the outside and inside as desired. Secure with decorative ribbon. Card stock outisde of 5 3/4" x 3 1/2". Score at 2 1/2" and 3 1/4". Inside patterned paper 5 1/2" x 3 3/8". Score at 2 3/8" and 3 1/8". 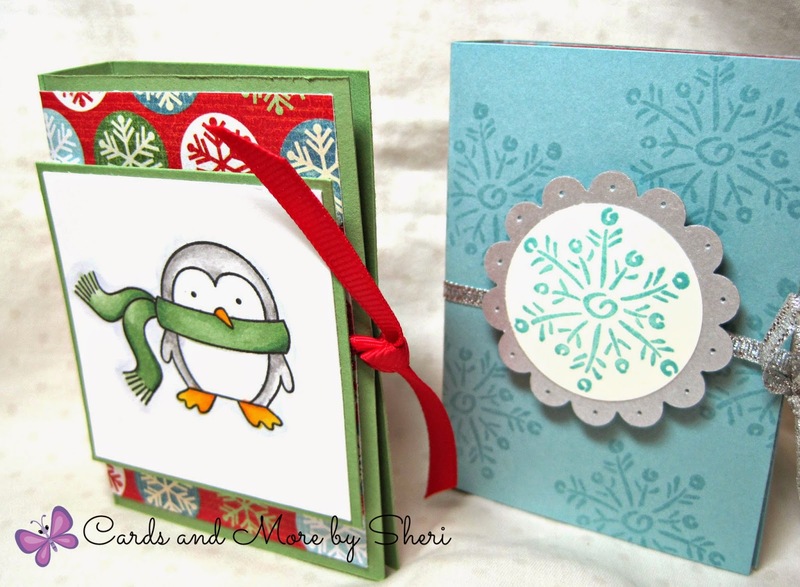 You'll be making your cuts on the patterned paper (instead of the card stock) on this one, just like described above. Please note - when I made it this way, my patterned paper was fairly light and if you're not super careful when inserting your lip balm, the paper may tear a bit where you've made your cuts. Decorate the outside as you wish. 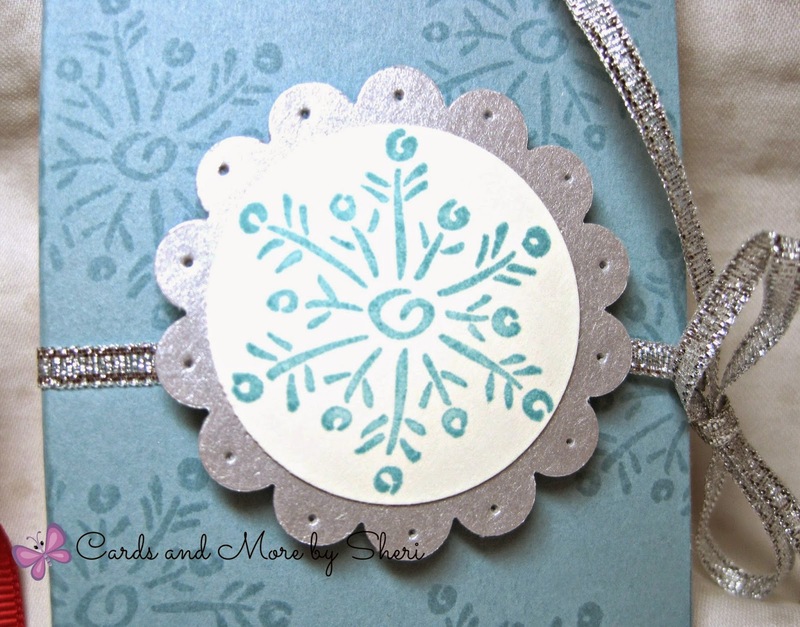 On the blue one above, I stamped an all over snowflake pattern with VersaMark ink and then stamped a matching image to add to the front. Here is the video for today's project. Enjoy! I like how you give step by step instructions. They're very useful for anyone who want to make these! Nice little present holders just to let people know that you thought of them!